This is one of the hottest topics of the day. How do you get people to read and share your ‘perfect’ content? In this article in our “Great Articles You may have missed” series, Shane Barker shows us how. A million dollar question indeed. You want to know how others create content that that people love to read and share, and how you can do the same, right? Tumblr alone has accumulated 373 million blogs from 2011 to 2017. How can your blog survive these massive numbers and get the attention you know it deserves? Let’s try to answer this in a different way. What kind of products do well in the industry in the long-term? Products that deliver on what they promise. Products where the packaging justifies the product and the product justifies the packaging. And of both these, combined with some good marketing skills. Voila! That also sums up how to write content. Some people wonder if they need to write something unconventional to get noticed. Well sure, if you can. But, the majority of you are probably looking for more a reasonable answer on how to write content. You want techniques that you can follow for any blog that will increase your readership and shares, right? To make things easier for you, I have a foolproof list of 10 tips that I follow for my content. It works for me, and it will surely work for you. Let’s dive into the list of steps for how to write content. This is one of the hardest parts of creating content, right? Finding a topic idea that people actually care about. So how do you find the right topic idea? Essentially, you need to do a lot of research and learn about your niche before you jump into creating content. Over time, it becomes easy. When it comes to how to write content in your niche, you must first pay attention to popular the topics in your niche. Trending topics are your best bet because you know people already like them. Trending topics are also well-received on social media sites. And if your content is well written, chances are higher that your blog posts will be shared. There are various tools to help you find the trending topics. Some that I use personally are BuzzSumo, Google Trends, and Feedly. These tools will give you invaluable information on the topics that are most shared. You can track them regularly to find trending content. 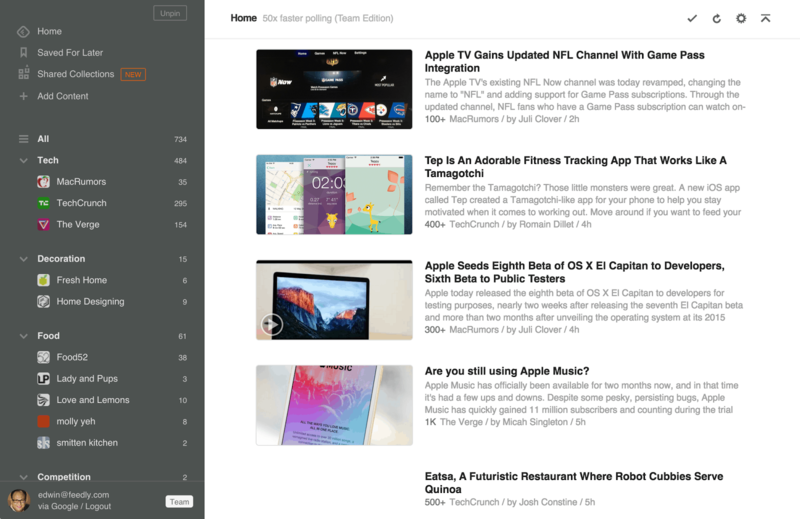 For example, on Feedly, all you need to do is follow your favorite publications or add topics of interest. The tool will then show you the trending articles about those topics or from those publications. You can also go on forums and Q/A sites like Quora, Reddit, and Yahoo Answers to look for similar questions that a lot of people are asking. Research is the most time-consuming part of writing engaging content. 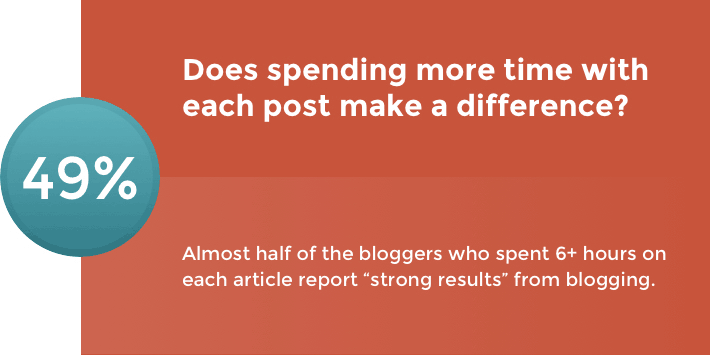 Studies show that spending more time with each post makes a difference. Search similar topics on Google and look at the blogs and posts of experts. What information have they already covered? How well are those posts performing? Read the comments on blog posts written by competitors. This will help you learn the points they have not addressed in their blog posts, and that can be a great starting point for your post. Find relevant statistics, facts, case studies, and examples to support your claims. You should also spend time researching your target audience. If your audience engages more with video content, add related videos to your blog posts. If your audience is young and enjoys GIFs, add more GIFs to your blog posts. A well-written blog post has thorough research behind it. So if you’re wondering how to write content that your readers will love, invest considerable time into research. It’s been said that people don’t read blog posts, they just skim them. The attention span of humans is only 8 seconds. And if your heading and subheadings are not catchy, you’ll lose their attention before they even start reading your post. So, when you’re writing your blog posts, remember that people won’t be reading a lot of it. People will be skimming it. They will go through your subheadings, images, and videos to get the gist of what you’ve written. According to research, 80% of people read your headlines. While only 20% of them read the remaining content. 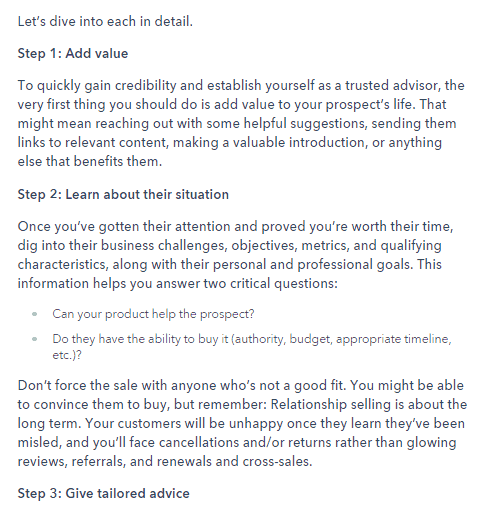 Check out the example of a well-written blog post on Hubspot below. Notice how the use of subheadings makes the content easy to skim through, and still gives readers the gist of what is covered. If you’re wondering how to write content that will be shared, then this is mandatory. Even if you have done your research and created excellent content, if it’s difficult to read, people won’t read it all or share it. People love to read something with space, paragraphs, and lists. Before you start writing your content, divide your text into proper subheadings. Then structure your text and data within these. Use bulleted or numbered lists when you’re describing steps, examples, similar points, case studies, or related points. Bullet points will make your data easy to scan. 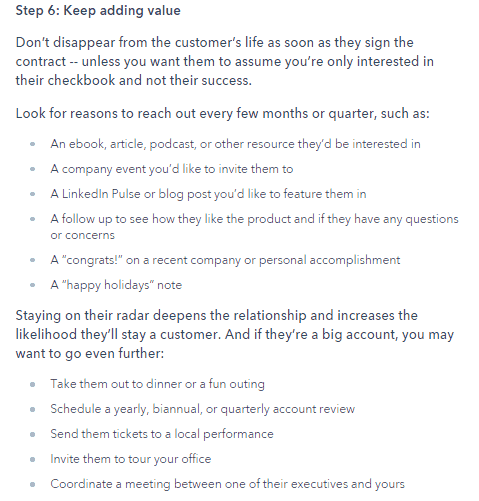 It will also make your blog post look more presentable.Here’s an example. There are too many recycled blog post on the internet already. Do you want to add to the clutter, or do you want to write content that people will actually love? Nothing can beat the original content. But, of course, how often can you create original content? There are articles on literally every topic possible. 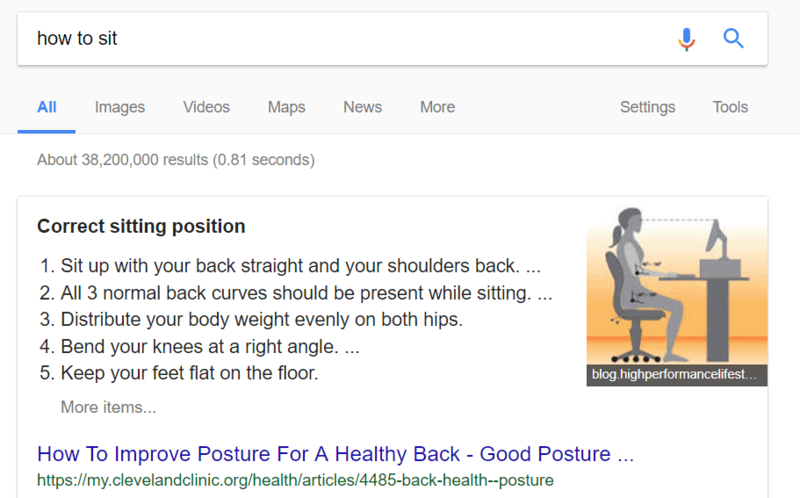 Even a simple search like, “how to sit” has 38.2 million search results. How do you create something new then? The best teacher is experienced for sure. Your experience is unique, and whatever you write from your own experience is going to be unique. Make your blog topic a debatable one. Take something you firmly believe in or disagree with and write on that. Benefits? You will justify the topic with all of your might and will end up creating original content. If there’s any solution that you have created, this is your chance to prove it. Most of the famous “how to” blog posts are created by someone sharing a solution they have found to make your life easier. You can do the same. Add an explanatory video to your content to make it easier to understand. For example, this blog post has a title that discusses well-known platform LinkedIn but offers a new idea. As we read further, the author John talks about his own opinions, and what he notices on this platform. That’s a great way to build the post further. If you’ve ever been on Facebook, you’ve noticed that the most shared and liked content is humor. Humor wins every time. And humor is art. Unlike everything else, it can not be copied. Similarly, expressing strong emotions requires courage. And people respect when you show what you truly feel. So make sure to add a pinch of humor if you’re wondering how to write content that your readers will enjoy. Let’s look at some examples from Medium to see how the most serious topics can have a funny or emotional aspect. This one is a recent blog post on Mark Zuckerberg’s latest announcement. The heading is undeniably funny and the content gets even better. To take a controversial topic like this and make sense out of this with humor is quite smart. The biggest celebrities know that their best act is all about how well they connected with their audience. And the same applies to writing blog posts as well. It’s all about building the connection. But how can you do it? 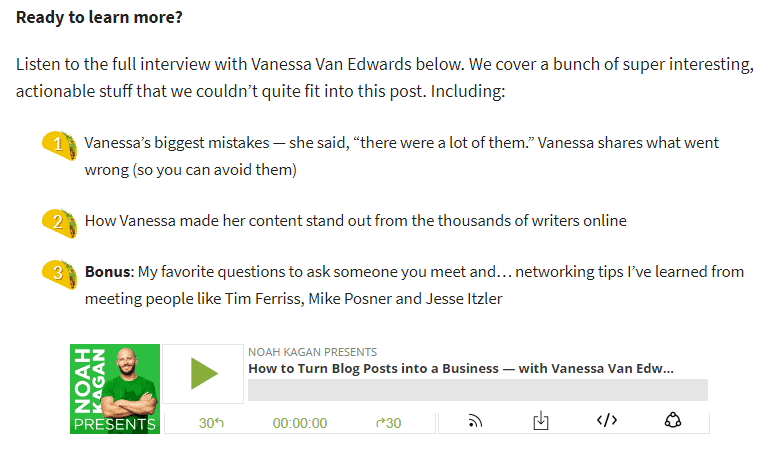 Write your blog post like you are talking to the person. Make it feel like a conversation. Not like a boring newspaper article. For me, it’s far easier to write how I would talk to someone than to write in a formal tone. For example, tell me which one of these options do you prefer? Choice 1: I know the feeling of not getting the desired results. It’s terrible but I always find ways to improve. Choice 2: If your efforts are not bringing you results, either improve or quit. Choice 3: If your unfulfilled aspirations are disconcerting, ameliorate your process. Which one did you like the most? I would say the first choice. It’s easy to understand, and it develops a connection between the writer and the audience. Why is the second choice a little off-track? Because it sounds like a command or a boring dictation. Why the third choice is not right is obvious. It’s difficult to understand. So try to write like your audience is right in front of you. 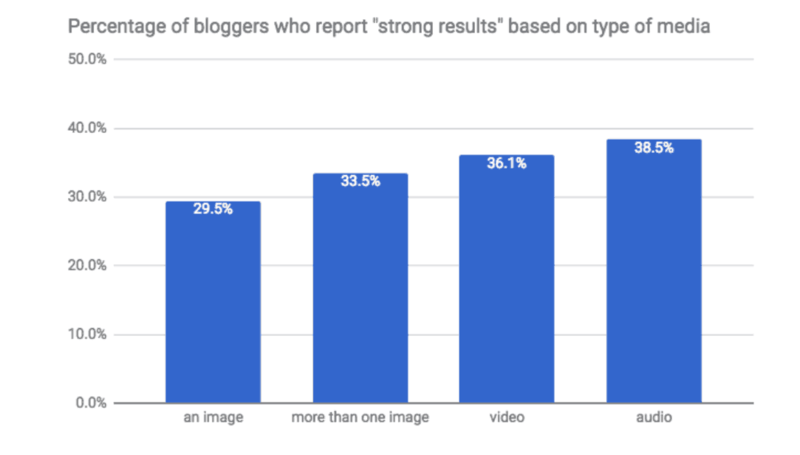 Adding graphics to your blog posts is directly connected with how well your blog performs. According to research by Convince and Convert, having audio in your content increases results by 38.5%. Some of my favorite posts are the ones with graphics, videos, and images. The graphics create a rich user experience and hold your interest. The graphics could be 100% related to the blog or might have minor significance in terms of context. It all depends on how wisely you use them. The rise of podcasts and video tutorials also enhance the quality of blog content and make it easier to understand. Social Media Examiner has engaging weekly video shows and biweekly audio podcasts. These help them to entertain, educate, and engage their loyal followers. Updating your blog posts regularly is an important aspect in creating content people will like and share. People love updates. And when you’re focusing on how to write content that people love to read, you can’t miss this point. According to research, only 55% of the bloggers update their content. 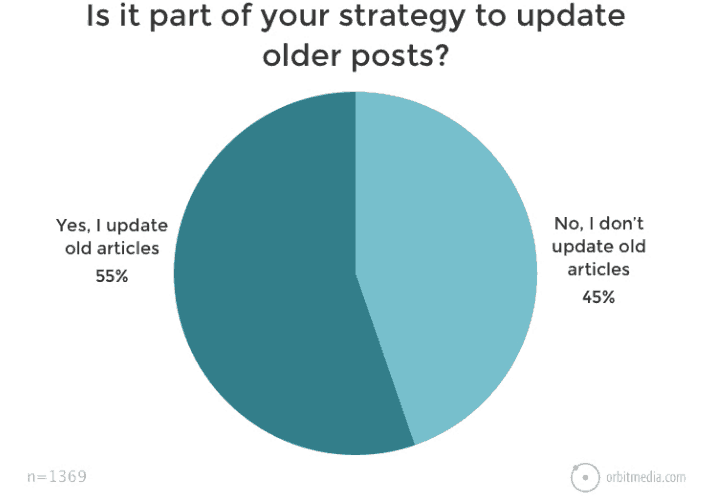 The good news here is that 74% of those who update their content get better results from their blogs. Especially, if you blog has a lot of associated statistics and data, it’s best to update them regularly. People are always looking for the latest information. When it comes to updating blog posts, I always suggest going through The Backlinko blog posts. Their blogs are regularly updated with latest information and graphics. I make sure to update my blog posts whenever I find any suitable information that fits into any of my older posts. If you look carefully, you’ll find that most well-performing blog posts have a CTA (call-to-action). When your focus is on how to write content that is shared, adding a CTA is a must. What’s the point of getting shares if there’s no call-to-action on your post? We have discussed some of the most crucial points on how to write content that is shared. The only thing I want to add here is to keep writing. Always make sure that your content keeps getting better. And don’t be afraid to experiment. If there is anything not mentioned above that you feel can be helpful to their fellow readers, please share in the comments section, below. This article previously appeared on shanebarker.com, under the title “How to Write Content That People Will Love to Read and Share“. It is republished here with permission.